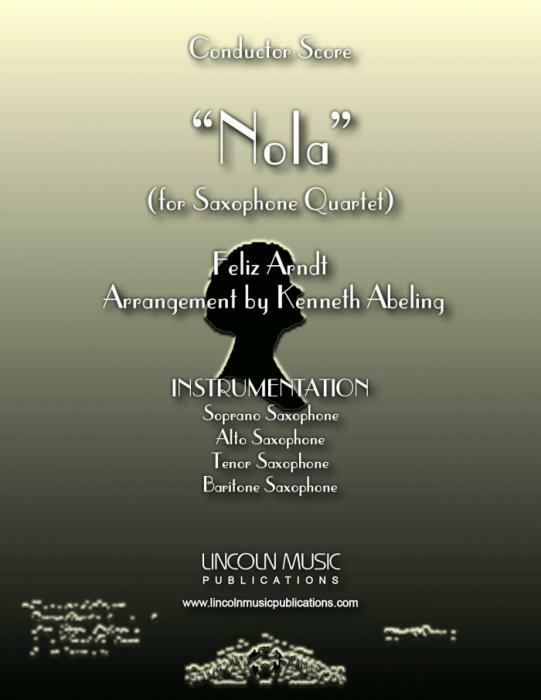 “Nola” by Felix Arndt, arranged here for Saxophone Quartet by Kenneth Abeling. This is an advanced arrangement of a timeless old-time song dedicated to the composers wife. It is both cute and challenging! Playing Time 3:30.